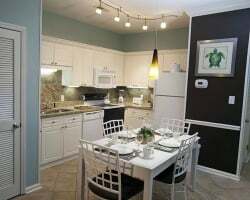 *Presidential Villas at Plantation Resort* is a spectacular resort located 15 minutes from the Myrtle Beach International Airport inside the Deerfield Plantation and surrounded by the Deertrack Golf Course! 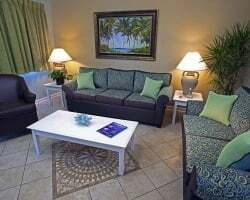 The resort offers the privacy and comfort of condominium style living yet is minutes away from all major attractions and the beach. 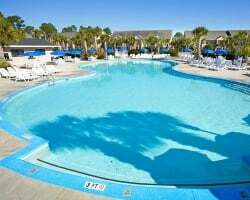 Secluded resort only minutes from Myrtle Beach! Week 19! Buyer may receive a title fee credit, inquire for details! White season week 7! Perfect for all ages! Inquire today! Just sit back and relax at this peaceful resort! Make an inquiry today for more details! Great location not far from Myrtle beach! Summer red season week! Ideal location near many activities that all ages will enjoy! With RCI membership, week exchanges for 88,500 RCI points for global exchange! Buyer may receive a title fee credit, inquire for details! Plan the perfect way to end summer vacations at beautiful Myrtle Beach every odd year! Plenty of activities the whole family will enjoy! Escape to this stunning secluded resort! Buyer may receive a title fee credit, inquire for details! Price reduce for a quick sale! Spacious unit with room for the whole family! Just minutes from the beach! Make an offer today! Experience wonderful vacations at Surfside Beach, AKA The Family Beach! Buyer may receive a title fee credit, inquire for details! Price Reduced! Annual week 9! Enjoy free shuttle rides to the beach! Buyer may receive a title fee credit, inquire for details! Perfect resort for the whole family! Lots to do onsite as well as nearby! Week 3! Buyer may receive a title fee credit, inquire for details! Come explore a variety of restaurants, golf courses and much more! Floating week on odd years! Inquire for details! Unit available for immediate use! Maintenance fees current! Perfect for Spring Break! Buyer may receive a title fee credit, inquire for details! Great resort for all ages! Resort offers shuttle rides to and from the nearby beach! Floating usage! Inquire for details! Unit available for immediate use! Maintenance fees paid up to date! Enjoy beach vacations! Buyer may receive a title fee credit, inquire for details! With RCI membership week can be exchanged for 88,500 RCI points! Buyer may receive a title fee credit, inquire for details! Breathtaking location not far from the beach! Buyer May Receive A Title Fee Credit, Inquire For Details! In the heart of all the action and entertainment! Buyer May Receive A Title Fee Credit, Inquire For Details! Beach Lover's Paradise. Perfect for Family Gatherings. Great Income property for Bike Week! Buyer May Receive A Title Fee Credit, Inquire For Details! Price just reduced! Enjoy vacationing with complete privacy! Yet resort is near many exciting activities! Buyer May Receive A Title Fee Credit! Enjoy these spacious accommodations in Surfside Beach, just minutes from Myrtle Beach! Buyer may receive a title fee credit, inquire for details! 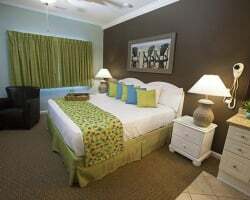 Enjoy family vacations relaxing on beautiful Surfside Beach. Buyer may receive a title fee credit, inquire for details! Very Motivated Seller!!! Spacious accommodations for the whole family! Week 8! Buyer may receive a title fee credit, inquire for details! Perfect resort for family vacations! Enjoy spacious accommodations! Buyer may receive a title fee credit, inquire for details! Relax at this lovely beach resort each year! Lockout unit perfect for large groups! Buyer may receive a title fee credit, inquire for details!